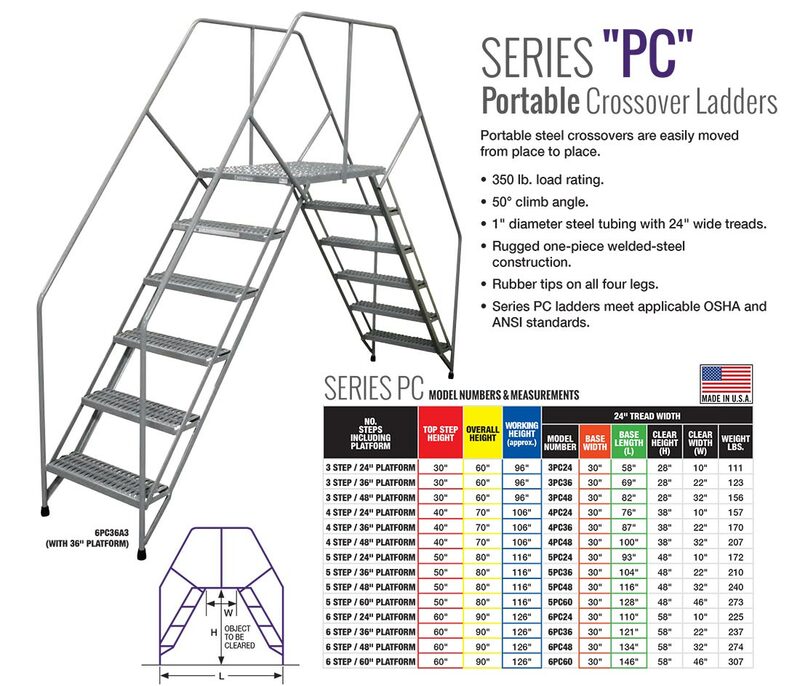 This Series PC 5-Step Crossover ladder from Cotterman is a one piece welded steel ladder unit made to span gaps and obstructions. This sturdy one-piece welded steel crossover ladder is made of 1" dia. steel tubing with 24" wide treads. Portable steel crossovers provide exceptional mobility and are easily moved from place to place. The rubber tipped legs hold the unit firmly in place while in use. This ladder has a 32" W Clearance and features A3 Serrated steps.